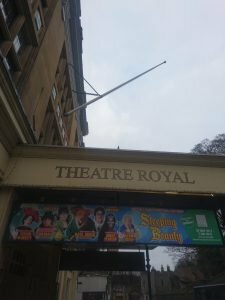 At the weekend my mum treated my family to see a pantomime Sleeping Beauty at the lovely historic Theatre Royal in Windsor. 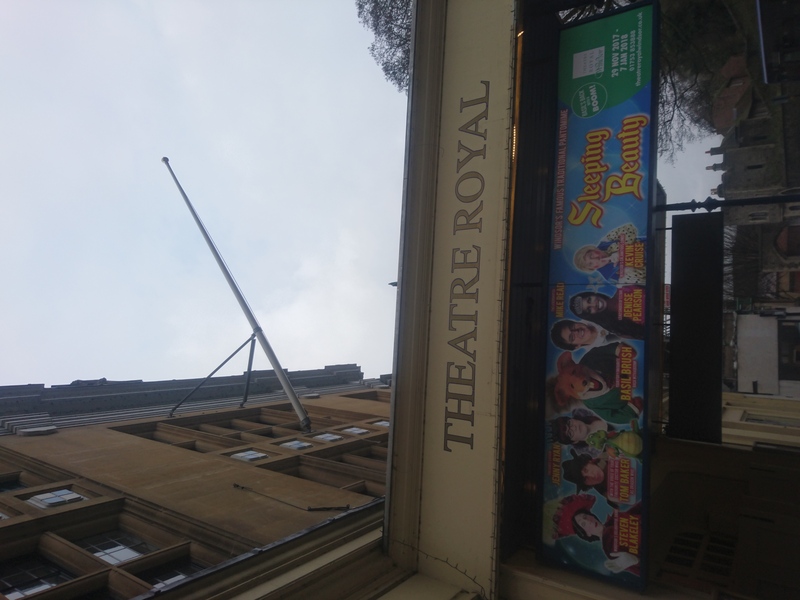 My wife and I have been to this theatre on many occasions, but on this trip it was our first time as a family to see a good old traditional panto. We kept it a secret from the kids and told them Nanny was taking us to a Christmas party. We all dressed up in our Christmas jumpers and made our way armed with a mini picnic to the theatre for an afternoon full of entertainment- we hoped!! 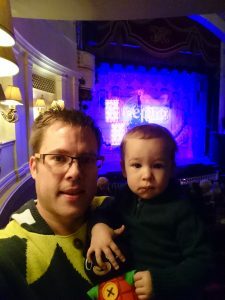 It was going to be a bit of a gamble as our boy is only 1.5yrs old and he can just about cope with fifteen minutes of Bing, we thought two hours in a theatre was going to be a challenge. The Theatre Royal Windsor, first opened its doors in 1706 when an actor named Mr Yates opened a booth where, if tradition is to be believed, Mrs Susan Carol, a widow, assumed with complete success the heroic role of Alexander the Great. 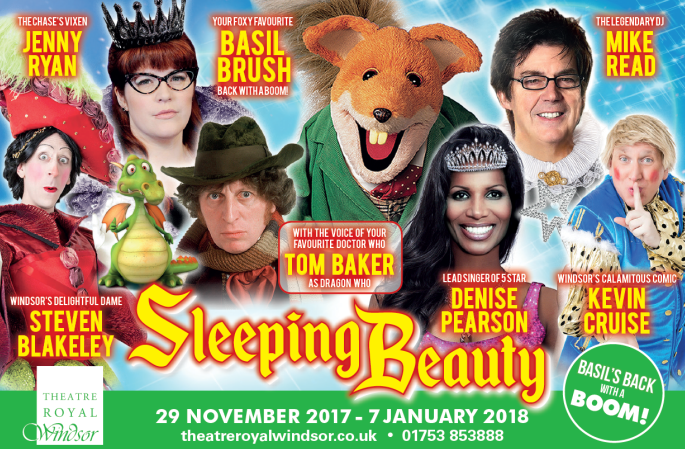 This year’s panto Sleeping Beauty starred Basil Brush as the lovable Lord Chamberlain, Jenny Ryan from ITV’s The Chase plays the evil fairy Carabosse. Also Radio DJ Mike Read, Kevin Cruise, Denise Pearson from the 80’s band Five star and not forgetting Dr Who himself Tom Baker as the voice of the Dragon. We really didn’t know how the kids would take the panto. 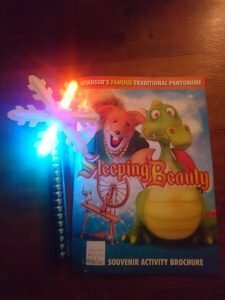 They’ve never been to a theatre show before and although Grace ( currently aged 4) has been to the cinema, she’s never seen a stage production. Both myself and my wife were concerned how our 1yr old boy would be and was fully prepared to take him for walks in the theatre foyer. The stage curtain raised up and a loud bang and flash appeared on stage as the Fairy opened the show. The show was full of singing and dancing and even Radio DJ Mike Read took to the stage to sing song classics such as Cliff Richard’s “Move it”. 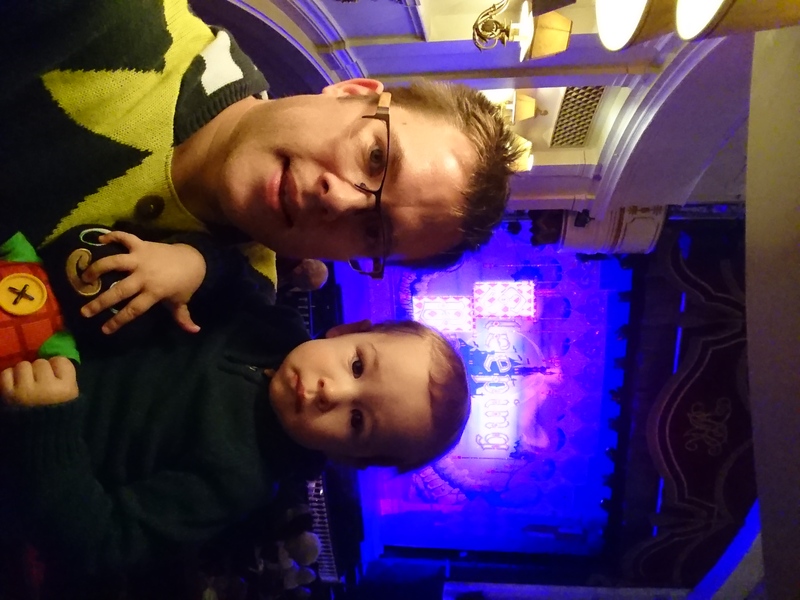 The show was enjoyable for myself and my wife aswell as our little Monkeys. There was a good amount of audience participation and we were laughing throughout. There were jokes that the children loved and ones that were more tailored to the adults in the audience, and really the whole show was perfect for any age to go and see it. Leading up to our panto visit I had played some YouTube clips of Basil Brush to our kids to see how they reacted to him and to my surprise they didn’t laugh at him, but all was to change when he shouted his famous quote “BOOM BOOM KIDS” and with a reply back from the audience “BOOM BOOM BASIL” both Grace and Thomas fell in love with our nations favourite Fox. 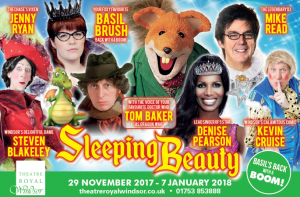 Kevin Cruise lead the Theatre Royal Windsor’s traditional Panto song of 12 days of Christmas, which went down well with audience participation from all ages of the crowd. I won’t spoil the surprise of that song! 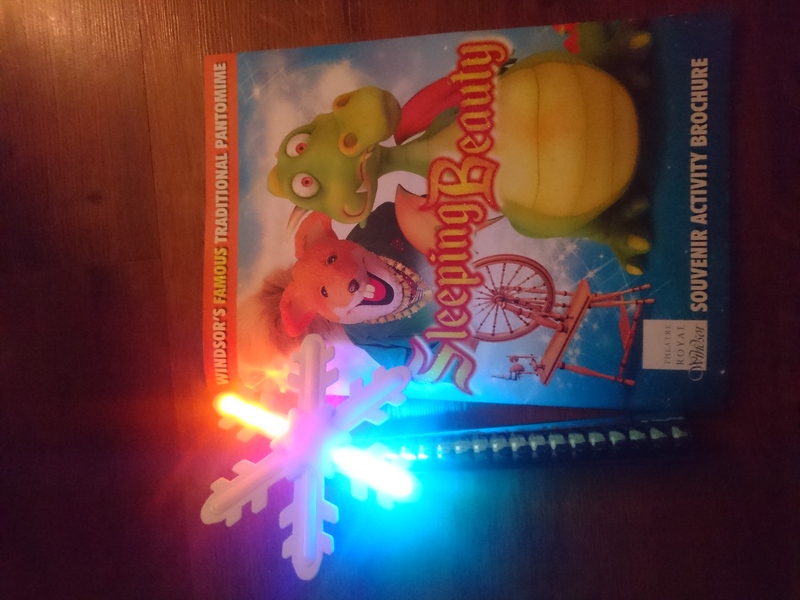 Theatre Royal Windsor’s Sleeping Beauty is definitely a show for all the family, I would say it’s a great fun pantomime to go and see with family and friends.